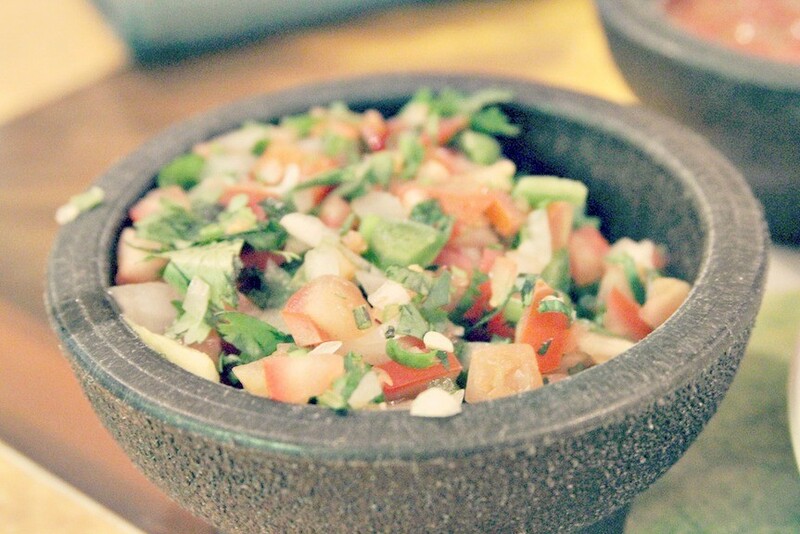 Pico de gallo is a wonderful condiment to serve up with your favorite Mexican and Spanish dishes. Whether scooped onto a tortilla chip or piled onto a taco, pico de gallo has a bold, fresh flavor that you simply can’t get with basic salsa alone. Think you don’t have the time? Believe it or not, it’s easier and quicker than you think. All you need is 20 minutes to prep and an additional 20 minutes to let the flavors of the salsa fresca develop. This recipe will make six servings of pico de gallo, which should be enough for your typical meal for four and then some. If you want to have leftovers (to give to friends, to keep for yourself, or both), you can easily double your recipe as well. Once you’ve chopped up all of your ingredients by hand, start by mixing the red onion, jalepeño, and lime juice into a bowl. Let it sit for about five or ten minutes, which will give a chance for the flavors to develop. Then, mix in your remaining ingredients and let the flavors develop for an additional 15 minutes. Serve and enjoy! Rather than keeping all your delicious pico de gallo to yourself, however, why not gift it to some of your friends and loved ones? After all, nothing makes a better gift than homemade food with fresh ingredients. A fun and creative way to gift your pico s to put it into mason jars, which you can buy for a dollar or less at most grocery stores. Not only are mason jars cute and easy to decorate, but they hold the perfect amount of pico and will help to keep it fresh as well. Consider wrapping a fun bow around the jar to add a little decoration as well. Your friends will love it! This pico de gallo recipe is perfect for your next Mexican food night, so be sure to give it a try! For more fun, easy and creative recipes, visit our recipe page and follow our blog!